Fifteen-year-old Bee’s mother has disappeared and Bee is trying to piece together what happened to her. The novel takes the form of emails, reports and excerpts from Bee’s diary. It jumps back and forth from the present to the past and the reader gets to know Bee’s mother, Bernadette, once an architect but now living a reclusive life in the crumbling home she bought for the family in Seattle. Meanwhile Bee's father, Elgie Branch, is a senior figure at a major computer company. The search for Bernadette takes in California, Seattle and eventually Antarctica in order for Bee to discover whether her family will ever be reunited. One of the interesting themes in this novel is the idea of the family unit and people’s roles within that. Bernadette was once an architect but lost the building that made her name when it was purchased and then demolished by an angry neighbour. Her professional life then overlapped with the personal as we learn she suffered several miscarriages before eventually giving birth to Bee, who was born with a serious heart-defect and not expected to live. Although Bee survives Bernadette is emotionally torn apart and retreats from the world, keeping faithful to a bargain she makes with herself. Meanwhile Bernadette’s husband Elgie buries himself in his work, achieving a high degree of success (TEDtalk ranked no. 4 on the all-time-watch list) but becoming more remote from his family as his profession claims more and more of his attention. Mother, wife, homemaker and professional – all roles that are questioned here; in Bernadette's struggle to fulfil them or to deny them the author lightly draws attention to the expectations society places upon women. This is a book of breezy satire that is underpinned by more serious ideas that give it a pleasing weight and depth. Although the correspondence that makes up this novel could seem fragmented, it is unified by Bee as she collects evidence relating to her mother and details events in her diary, and we all felt the author handled this device for telling the story well. The character of Bernadette is vivid and compelling; one one level something of a caricature with her signature dark glasses and headscarf, on another a troubled and complex figure struggling to define herself. We liked that Semple chose to make her an architect; architects build and shape society, they must actively engage with the world and force their ideas into being. Bernadette's rejection of her professional life instead leads the micro-society around her to crumble; her family starts to fall apart while the house they live in is gradually consumed by mould and blackberry brambles. Much of the humour in this novel comes from Bernadette's relationship with her neighbours and fellow parents at her daughter's school, and more generally with the city of Seattle and its inhabitants. The digs here are sharp and well observed and no doubt come from Semple's own experience of the city. 'What you've heard about the rain: it's all true. So you'd think it would become part of the fabric, especially among the lifers. But every time it rains and you have to interact with someone, here's what they'll say: 'Can you believe the weather?' Many of the supporting characters were also funny; Audrey, fellow-parent at the school, whose mental breakdown transforms her from enemy to friend, and Su-lin, Elgie's assistant, with her Victims Against Victimhood support-group interventions. There is a strong element of farce which allows Semple to weave her plot together, and which some of us enjoyed while others felt it made things seem too contrived and unbelievable (which is pretty much the definition of farce, I know – you either go with it, or you don't). This novel is written in a very vivid, cinematic way and we found the pace and drama to be perfectly judged. It was interesting to us that Semple is a successful TV writer (the sharp and funny Arrested Development); for some the characters in Bernadette seemed sketchy and undeveloped but we could imagine how an actor on the screen would take such a part and make it come alive. In terms of the book, though, for some of us this was a major criticism as lesser characters seemed there merely to drive the plot without any substance of their own. Some found it more flawed than others, but this didn't detract from what was generally felt to have been an enjoyable, amusing and inventive comic novel with an unforgettable main character. Some of the characters were slightly caricatured and the whole conceit of the FBI investigative file that Bee gets hold of was unbelievable to me. But generally I did find this an entertaining and enjoyable read. I really enjoyed reading this, the sense of adventure and being taken on a journey. But I found some of it really unbelievable. The husband trying to put his wife in a mental hospital on a very flimsy pretext didn’t ring true to me at all. But I loved the character of Bee and the way that she developed through the course of the novel; I felt she really grew as a character and came into her own and I was with her all the way. This was clearly written as light and popular entertainment but with a maverick female architect who ends up in Antarctica as its hero it’s not something I’ll forget it in a hurry. I thought it was full of interesting comment on contemporary life. I’ve recommended it to others. A refreshing indulgence. I could definitely relate to certain themes that were in there and I liked the way the author managed to create the sense of different voices, despite the fact that everything was told through correspondence. 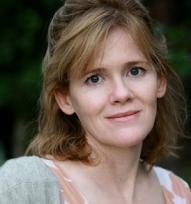 The writing is tight and crisp and Maria Semple has crafted a fine novel. It’s not literature but it’s not setting out to be. She’s picked this genre and it’s satirical and well done. I found it surprising and highly enjoyable. I didn’t actually find this funny. I found it pleasant and inoffensive, but there were no moments for me where I really felt Semple had nailed a character or an observation. The character of Audrey worked the best for me. I enjoyed the way it was written, too, a nice approach to telling the story. But I found it difficult to empathise with Bernadette – I wanted to shake her. I don’t tend to read many humorous books but in a very quiet easy way I felt I was getting quite an in-depth psychological portrait of these characters. It started out a bit two-dimensional but gathered depth and meaning as it went on. It answered the questions that it poses and told me about a different world and a different person and I thought that the style worked surprisingly well. It was easy to read and light, but at the same time had some challenges and was rewarding. I thought this was good; particularly in the context of other things that I’ve read recently, this seemed like a joy. I didn’t have any preconceptions about it, so wasn’t put off by the ‘chick-lit’ idea. I loved the wit and the way the relationships between the main characters were drawn. I whipped through it. I was very happily hooked on this. 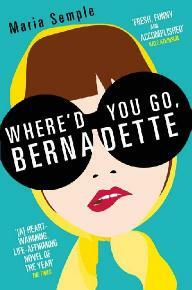 I loved the contrast between flamboyant Bernadette and, seen through her eyes, the pedestrian grim raininess of Seattle. I thought the details of the city and its inhabitants were well observed and this for me was the one point where the humour struck home. But as for the rest, although I liked the characters and the ideas it felt too sketchy for me, with far too many awkward plot contrivances required in order to keep things moving. But this was counterbalanced by the originality of the main character – the misplaced genius – and the inventiveness of the story, which kept me guessing until the very end.